For those of you visiting our blog from an outside source, here’s a little background about Random Seed Games and Lacuna Passage. 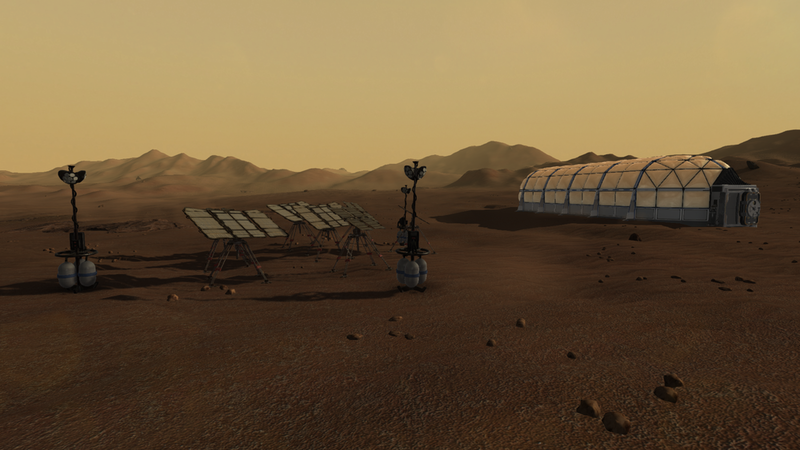 We are a small indie company working on a Mars exploration and survival game for PC, Mac, and Linux called Lacuna Passage. We had a successful Kickstarter and Greenlight campaign back in Summer of 2013. Unfortunately we’ve overshot our goal completion date, but we’ve made some amazing progress and development is still going strong. We have released a small alpha demo for our backers, but earlier this year we decided that it was time to try and get out and gather some feedback from new players with a brand new demo. We submitted Lacuna Passage to the Indie MEGABOOTH for PAX East and were accepted with just over a month before the big show. The problem was that we didn’t really expect to get in. We had shifted a majority of our development time to a smaller side project that we knew we could get to market sooner than Lacuna Passage. 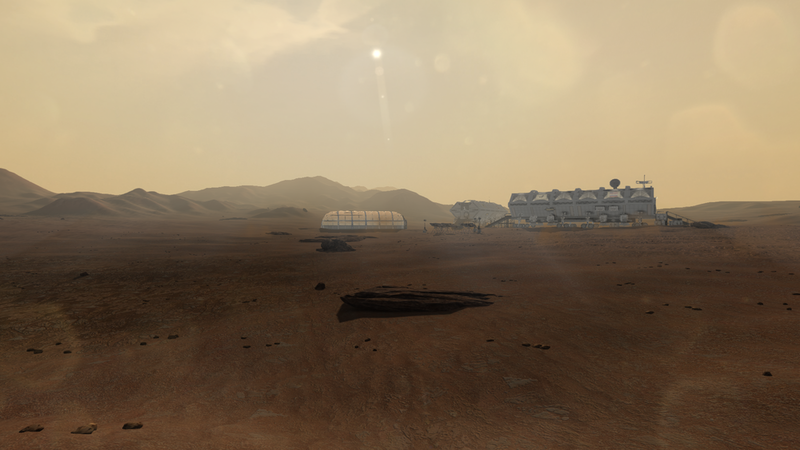 When we were accepted into the MEGABOOTH we had not even begun working on the new demo for Lacuna Passage. So, while other MEGABOOTH developers were focusing a majority of their time preparing their marketing materials, we had to produce 15-20 minutes of brand new content in less than a month while working on marketing and promotional materials at the same time. Amazingly, we pulled it all off. Spencer (my brother and lead artist on the project) and I worked 70 hour weeks until just before we had to leave for Boston. We emailed over 250 press contacts. We designed and printed banners and flyers. We planned travel and hotel arrangements. It was a wild few weeks. We also didn’t do a great job of anticipating the costs that such a trip would incur. Below you will see a total breakdown (some estimates) of all our costs. This is a lot of money for us. The total cost was roughly 10% of our original Kickstarter funds. We knew that this was a big risk for us to take, but we think it was a good investment. Contacting the press was a big deal for us. With our communication prior to and during the show we managed to get 9 interviews. Keeping Lacuna Passage relevant throughout development is very important to us and we think the coverage we received at PAX was invaluable. We also think we succeeded in spreading the word to new potential players. Almost every person we talked to at the show seemed to light up at the mention of using real Mars satellite data for forming our terrain. Our demo was nearly 25 minutes long and if I had to guess I would say roughly 25% of players played through the entire thing. Probably another 50% played for at least 10-15 minutes. Seeing people engrossed in the game and invested in following the story was incredibly rewarding. 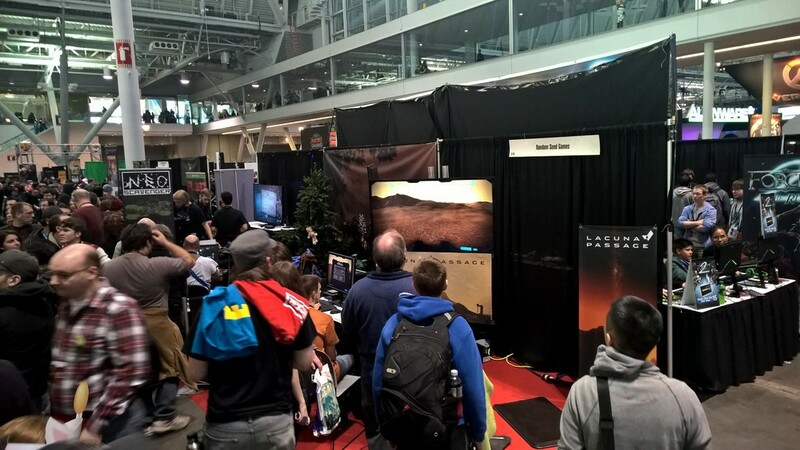 In all we had over 200 people play the demo on two different machines at our booth and countless more who were watching on a big screen TV we had on a high stand. By the end of the first day we had several people come up to us and say that Lacuna Passage was the coolest thing they had seen there. Those kind of comments kept our energy up for the long, tiring weekend. The demo worked great as a marketing tool, but it was also an invaluable playtesting session for us. The feedback we got from watching people play the game was extremely helpful in identifying what aspects we should focus on improving or adjusting in the future. We never had any horrible, game-breaking bugs, but there are plenty of things that could be changed to match player expectations. This was our first big conference, and there are a few areas where we could have done a better job. The first thing we kind of already mentioned. Don’t try to make a brand new demo a month before the show… We got very lucky. We didn’t have any major problems, but we did sort of burn ourselves out before the show even started. 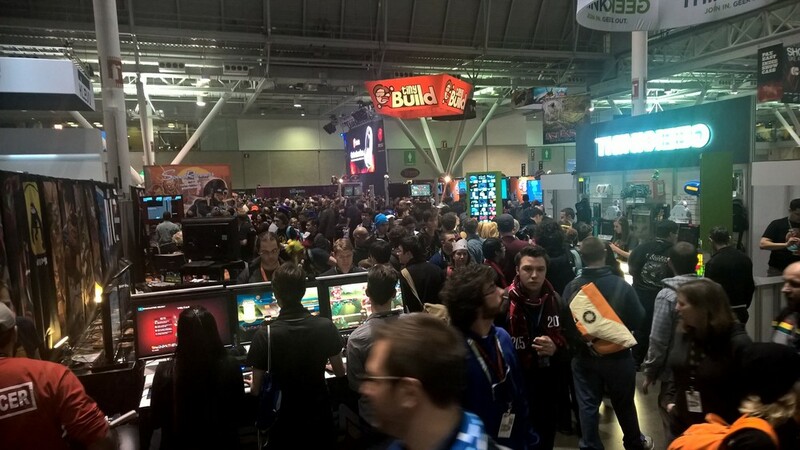 Going to PAX or any other conference should be exciting, not stressful. We should have gone in with the attitude that we were going to be accepted from the start and we would have had much more time to prepare. We also should have anticipated our costs a little better. It didn’t break the bank, but it was a heavy blow to us and we will need to be much more conservative with our remaining budget. That means we might not get to another conference anytime soon. But we are okay with that. We think that the result we got out of PAX was equal to what we put in. We are excited to dive back in and finish out the rest of development over the next several months. If nothing else, we wish we had more time. More time to contact press. More time to commit to decorating the booth. More demo stations for booth visitors. More handouts and swag. More everything. Next time around we will know exactly where we should be dedicating our limited time and funds. This was a huge learning experience for Random Seed Games and we are glad we did it. The last couple months have been an absolute whirlwind for our team. 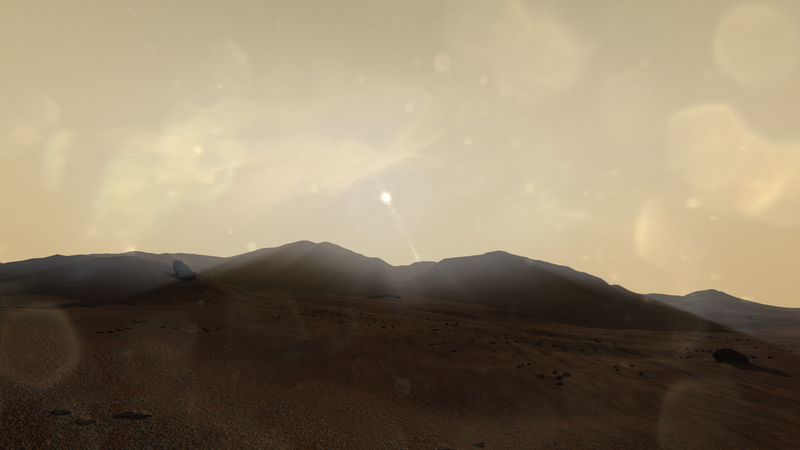 In case you hadn't heard, Lacuna Passage was recently successfully funded on Kickstarter, surpassing our goal by 36%. Since then we've been trying to tie up all the loose ends associated with a sudden windfall of development money. Unfortunately that has meant more time spent on the business side than on development, but it's all part of building a foundation so that we can focus more on development soon. Kickstarter comes with a lot of strings attached, not the least of which is delivering on the promises made to your backers. Obviously the next year or so we are going to be discussing exactly how we are going to be doing that, so right now we thought it might be best to talk about some of the challenges we faced before, during, and immediately following our campaign and some things we learned from the process. When it came to preparing for our Kickstarter we knew that we had a lot of work to do before we were ready, and a big part of that was gathering interest during development. We spent almost six months marketing Lacuna Passage and I think this had a big impact on the success of our campaign later. The devlog: Our devlog has been one of our most useful tools throughout our project. It is an extremely versatile way to communicate with our audience and it helps to demonstrate progress and improvement over the course of development. Often times when people have questions that require detailed answers I can just refer them to an old devlog post where we have already discussed the topic in-depth. All aboard the karma train: Reddit has easily been our number one source of website views. For several months before our Kickstarter we participated almost weekly in Screenshot Saturday as well as posting each of our devlogs in any relevant subreddit. Posts of our early screenshots brought us a lot of attention and even resulted in a few articles on sites like Discovery News, Mashable, and Kotaku. Reddit is most useful in attracting an audience for your game which will hopefully translate to twitter followers, facebook likes, and rss subscribers. The Top 10 referrers to our website over the last 6 months. Reddit is a powerhouse for traffic. “Like my tweet post tumblrspace!”: Never underestimate the influence of social media. Many people use twitter and facebook as a type of RSS feed for news for things they are interested in, so we made sure that we had a presence anywhere our audience might be. Developing these micro-communities gave us some great early support when it came to launching the Kickstarter. We literally had people waiting to donate. Presskit: It’s best to have one of these before you need it. When journalists started asking for screenshots, videos, and game summaries we were able to simply point them to our presskit page rather than manually sending out materials to every inquirer. We also made sure it was clearly linked from our website. Sometimes journalists wouldn’t contact us and would just run a story with whatever information we had available on our site. Having our presskit easy to find was very helpful in that regard. If you don’t know, ask: There are a ton of things to consider before launching your Kickstarter and one of the best ways to learn the process is to ask someone who’s been through it (and preferably succeeded). We were lucky enough to take advantage of (creator of Cards Against Humanity) Max Temkin’s Kickstarter Office Hours, which I believe he has unfortunately ended, but there are plenty of successful people out there who will likely respond well if you ask them nicely for advice. We were glad we did this before putting tons of work into our campaign because we quickly realized that we needed to change how we were approaching some of our rewards and business decisions. Doing research: We used the site KickSpy.com to search for projects with similar themes (space, exploration, survival, etc) and with similar goals. KickSpy gives you much more freedom while searching projects than Kickstarter itself, which will give you a better picture of what to expect. With this approach we were able to compare ourselves to other successful and unsuccessful projects to determine what aspects of their campaigns we should adopt or abandon. Overestimate everything: Kickstarter is pretty unforgiving when it comes to making mistakes. Overestimate how much time it will take you to run your campaign. Overestimate how much money you need to raise. Overestimate how stressed out you will be. Overestimate everything... We estimated the minimum amount of funding that it would take us to complete the game and we increased that by about 15% to cover unforeseen expenses, plus another 8% to cover the fees to Kickstarter and Amazon Payments, plus another 2% to cover failed payments. What happens if we fail? : This was a difficult question, but an important one we had to ask ourselves. The continued development of Lacuna Passage was entirely dependent on our Kickstarter funding and we made sure that was clear during our campaign. The page and video: We wanted to keep our Kickstarter video under five minutes and spend as much time as possible speaking directly to our audience. Gameplay footage and bullet points are great for selling your game, but on Kickstarter that is not your goal. You are not selling your game, you are asking for funding. It’s tempting to describe every single feature of your game either in your video or in your description, but that’s what your website (and hopefully your devlog) is for. Since we had been documenting our development prior to our Kickstarter it was easy for us to refer people to those resources rather than clutter up our page. Art is your best friend: When a game is still in development sometimes it can be difficult to show exactly what the game will look like when it’s finished, yet it should be no surprise that good-looking games do better on Kickstarter. Do whatever you can to put your best foot forward when it comes to visuals. With Lacuna Passage we made sure to have concept art available for any features that did not currently exist in our prototype. This helped us to have more visual aids than text on our final page. Also, don’t underestimate the importance of sound and music. We had numerous backers who cited the music as the reason they decided to back our project. Deciding on rewards: This was one of the most difficult aspects of the campaign to estimate accurately. Problems will always arise and the costs associated with reward fulfillment may be extremely volatile. This is where the overestimation part comes in. Hopefully if you’ve planned for the worst then you can handle it when it comes. In our case, we avoided physical rewards as much as possible to cut down on production and shipping costs. Extra pledges don’t count for much if a majority of the funding has to go towards extraneous physical rewards rather than the development of your game. Digital exclusives ended up being our most popular option and resulted in lots of extra funding for very little extra cost. $25 is the most popular pledge level across all Kickstarter projects, so we made sure that this level would be an attractive option with very little overhead cost. Contacting the press: We knew that we needed to do a press release right after we launched, but we made the mistake of not gathering a press contact list prior to launch. That meant that we spent the better part of two days collecting email addresses and sending out press releases when we likely could have accomplished the same thing in a few hours with a prepared contact list. Whatever you can accomplish before launching your project is always a good idea to get out of the way. In the end we got some great attention for our project through key articles from RPS, Kotaku, and Penny Arcade. Our Top 10 sources of Kickstarter Pledges. Three articles from different gaming websites brought in a huge number of pledges while reddit was our single largest source of external donations. The power of reddit: Throughout the campaign we posted announcements and updates on relevant subreddits, but our most successful post was an AMA (Ask Me Anything) on /r/gamedev. AMAs are a great way to gather interest and also figure out the “holes” in your campaign. If lots of people are asking the same questions then you probably need to look at your Kickstarter page and find a way to include the answers somewhere (the FAQ section can be your “catch-all” for common questions). We did our AMA on /r/gamedev. PayPal: Supporting PayPal pledges alongside your Kickstarter campaign can be a bit of a double-edged sword. In our case we were not 100% confident that we would be funded so if we had begun taking PayPal pledges from the beginning and somehow fallen short of our Kickstarter goal we would have had to refund all PayPal pledges (since they are charged immediately whereas Kickstarter pledges are only charged at the end of a campaign). We didn’t want to deal with that headache so we waited until after we were fully funded on Kickstarter before we began supporting PayPal. It still ended up providing us with an extra $1,155 in funding after only 8 days. You can even use PayPal to “extend” your campaign, which we did for 5 days following the end of the Kickstarter funding. A majority of that $1,155 was raised after the Kickstarter had officially closed. Expand your outreach: Sending preview builds to YouTube “Let’s Play”-ers can get you some great additional exposure. We had several influential YouTube personalities create videos of our prototype and they were very instrumental in getting the word out early. After we expanded our reach beyond just games journalists we got some really cool coverage from places like SpaceVidCast, who eventually gave us a sizeable donation to benefit subscribers of their show. Find anyone who might even be just tangentially related to your project and let them know about what you are doing. Stretch goals: This was probably one thing that we messed up a little bit. Early on when we were preparing our Kickstarter we knew that we wanted to include stretch goals from the beginning to emphasize some of the ways we could expand on our root concept for the game. We thought there were plenty of optional things we could add that wouldn’t dilute our main vision. We organized these optional improvements in order of how many backers they would benefit, so we had things like “Additional Voice Acting” and “Live Music Recording” as some of our first stretch goals. These were things that every backer would benefit from if we reached them so it made sense to have them easily attainable. Unfortunately they were not very “exciting” prospects for most backers, so after we reached our main goal of $40,000 there was not much of a push to reach any of these goals. It became apparent in our comments that people were much more interested in some of our loftier goals like Oculus Rift support, but the general consensus was that we were too far from those goals and it wasn’t worth trying to reach them. At this point we made the decision to rearrange some of our stretch goals. We moved them so that the Rift goal would be the next goal to reach, but all the costs associated with each level were still intact. The effect was immediate. It should have been obvious to us from the beginning that the Rift goal would be more exciting for backers to reach. Switching our goals mid-campaign resulted in a few upset backers, but far more were supportive of the change. I think it was almost entirely responsible for our final day surge of over $5,000 in pledges, pushing us past the Rift goal. Hopefully we will still be able to hit a few more stretch goals via our Humble Store pre-order widget, which is available now on our website. Our stretch goal switch made a big difference in our funding over the last few days of the campaign. Financial planning: We got a lot more money than we were expecting. $54,295 to be exact. $14,000 over our goal (not to mention the $1,155 from PayPal and continued income from our pre-order widget). Since I’m the only one personally responsible for the management and disbursement of the funding I decided that it was in my best interest to form an LLC. There are many reasons to do this and I will spare you the details, but ultimately I would recommend it for anyone who is working on a project who expects to pay contracts to contributors, plus it’s a bit easier to manage your taxes (it’s easy to forget that you still have to pay taxes on all that income - Kickstarter doesn’t take it out for you). Communication: We plan on doing at least two major devlog posts each month to keep our backers and other interested parties up to date on our progress. 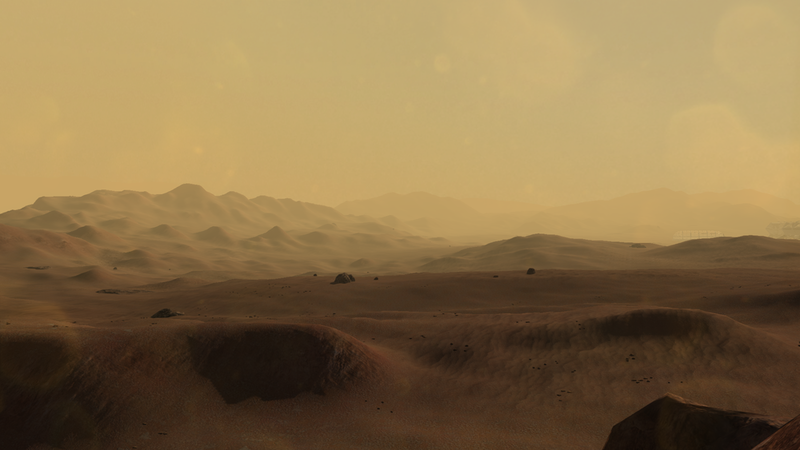 This post marks our return to the devlog after our Kickstarter hiatus. I’m sure we will jump back into Screenshot Saturdays on reddit as well. Full-Time Development! : With the money from Kickstarter I can now work on Lacuna Passage full-time for the next year and a half and I can afford to pay some of our dedicated collaborators as well. I couldn’t be more excited about the future. Thanks in large part to reddit, I have finally fulfilled my dream of being a full-time indie game developer! If you have any questions at all please leave a comment!